Compared to many other species, all humans have incredibly similar genomes. However, even slight variations in our genes or environments can cause us to develop traits that make us unique. These differences can manifest in ordinary ways, such as through hair color, height, or facial structure, but occasionally, a person or population develops a characteristic that distinctly sets them apart from the rest of the human race. While most of us have to worry about limiting our intake of fried foods, bacon, eggs, or anything that we’re told is on the “cholesterol-raising list” of the moment, a few people can eat all these things and more without fear. In fact, no matter what they consume, their “bad cholesterol” (blood levels of low-density lipoprotein, associated with heart disease) remains virtually non-existent. These people were born with a genetic mutation. More specifically, they lack working copies of a gene known as PCSK9, and while it’s usually unlucky to be born with a missing gene, in this case, it seems to have some positive side effects. After scientists discovered the relationship between this gene (or lack thereof) and cholesterol about 10 years ago, drug companies have worked frantically to create a pill that would block PCSK9 in other individuals. The drug is close to getting FDA approval. 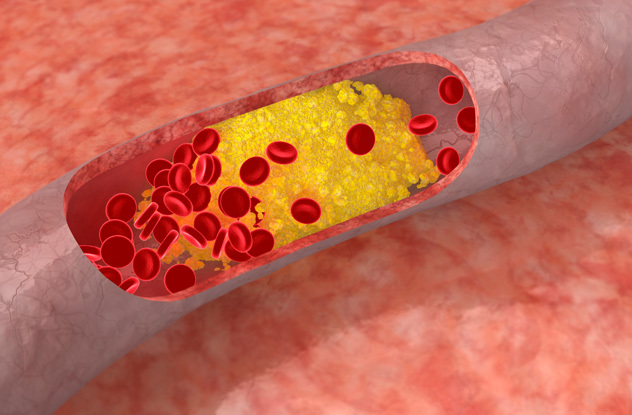 In early trials, patients who have taken it have experienced as much as a 75-percent reduction in their cholesterol levels. So far, scientists have only found the mutation in a handful of African Americans, and those with it have the benefit of a 90-percent reduced risk of heart disease. All sorts of things could wipe out the human race—asteroid strikes, nuclear annihilation, and extreme climate change, just to name a few. Perhaps the scariest threat is some type of super-virulent virus. If a disease ravages the population, only the rare few who are immune would have a chance of survival. Fortunately, we know that certain people are indeed resistant to particular diseases. Take HIV, for example. Some people have a genetic mutation that disables their copy of the CCR5 protein. 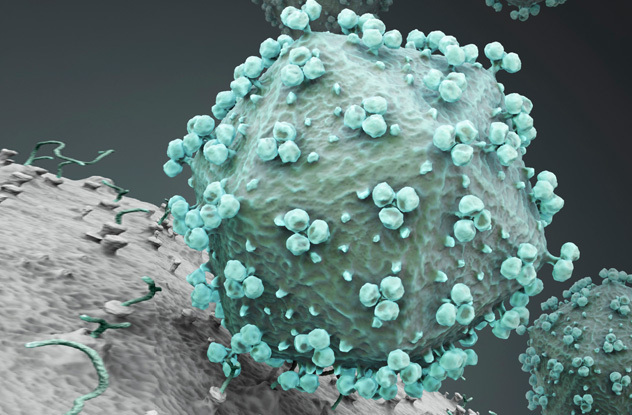 HIV uses that protein as a doorway into human cells. So, if a person lacks CCR5, HIV can’t enter their cells, and they’re extremely unlikely to become infected with the disease. That being said, scientists say that people with this mutation are resistant rather than immune to HIV. A few individuals without this protein have contracted and even died from AIDS. Apparently, some unusual types of HIV have figured out how to use proteins other than CCR5 to invade cells. This type of resourcefulness is why viruses are so scary. Folks with two copies of the defective gene are most resistant to HIV. Currently, that includes only about 1 percent of Caucasians and is even more rare in other ethnicities. Those who have an especially high resistance to malaria are carriers of another deadly disease: sickle cell anemia. Of course, no one wants the ability to dodge malaria only to die prematurely from malformed blood cells, but there is one situation where having the sickle cell gene pays off. To understand how that works, we have to explore the basics of both diseases. 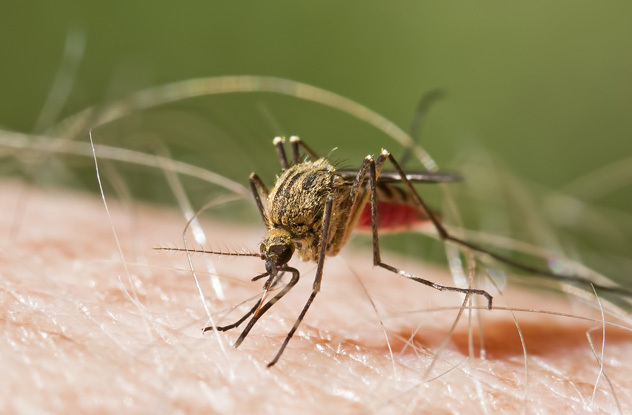 Malaria is a type of parasite carried by mosquitoes that can lead to death (about 660,000 people per year) or at the very least make someone feel at death’s door. Malaria does its dirty work by invading red blood cells and reproducing. After a couple days, new malaria parasites burst out of the inhabited blood cell, destroying it. They then invade other red blood cells. This cycle continues until the parasites are stopped through treatment, the body’s defense mechanisms, or death. This process causes a loss of blood and weakens the lungs and liver. It also increases blood clotting, which can spark a coma or seizure. Sickle cell anemia causes changes in the shape and makeup of red blood cells, which makes it difficult for them to flow through the blood stream and deliver adequate levels of oxygen. However, because the blood cells are mutated, they confuse the malaria parasite, making it difficult for it to attach and infiltrate the blood cells. Consequently, those who have sickle cells are naturally protected against malaria. You can get the anti-malaria benefits without actually having sickle cells, so long as you’re a carrier of the sickle cell gene. To get sickle cell anemia, a person has to inherit two copies of the mutated gene, one from each parent. If they only get one, they have enough abnormal hemoglobin to resist malaria yet will never develop full-fledged anemia. Because of its strong protection against malaria, the sickle cell trait has become highly naturally selected in areas of the world where malaria is widespread, with as much 10–40 percent of people carrying the mutation. 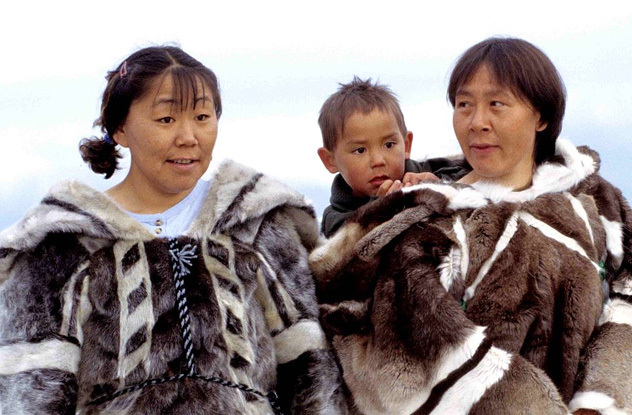 Inuits and other populations who live in intensely cold environments have adapted to an extreme way of life. Have these people simply learned how to survive in these environments, or are they somehow biologically different? Cold-dwellers have different physiological responses to low temperatures compared to those who live in milder environments. And it appears there might be at least a partial genetic component to these adaptations, because even if someone moves to a cold environment and lives there for decades, their bodies never quite reach the same level of adaptation as natives who have lived in the environment for generations. For instance, researchers have found that indigenous Siberians are better adapted to the cold even when compared to non-indigenous Russians living in the same community. People native to cold climates have higher basal metabolic rates (around 50 percent higher) than those accustomed to temperate climates. Also, they can maintain their body temperatures better without shivering and have relatively fewer sweat glands on the body and more on the face. In one study, researchers tested different races to see how their skin temperatures changed when exposed to cold. They found that Inuits were able to maintain the highest skin temperature of any group tested, followed by other Native Americans. These types of adaptations partly explain why aboriginal Australians can sleep on the ground during cold nights (without shelter or clothing) with no ill effects and why Inuits can live much of their lives in subzero temperatures. The human body is much better suited at adjusting to heat than to cold, so it’s rather impressive that people manage to live at all in freezing temperatures, let alone thrive. Most climbers who’ve made it to the summit of Mt. Everest wouldn’t have done so without a local Sherpa guide. Amazingly, Sherpas often travel ahead of the adventurers to set ropes and ladders, just so the other climbers have a chance of making it up the steep cliffs. There’s little doubt that Tibetans and Nepalese are physically superior in this high-altitude environment, yet what is it exactly that allows them to work vigorously in oxygen-depleted conditions, while ordinary folks have to struggle just to stay alive? Tibetans live at an altitude above 4,000 meters (13,000 ft) and are accustomed to breathing air that contains about 40 percent less oxygen than at sea level. Over the centuries, their bodies compensated for this low-oxygen environment by developing bigger chests and greater lung capacities, which make it possible for them to inhale more air with each breath. And, unlike lowlanders whose bodies produce more red blood cells when in low oxygen, high-altitude people have evolved to do the exact opposite—they produce fewer red blood cells. This is because while an increase in red blood cells might temporarily help a person get more oxygen to the body, it makes blood thicker over time and can lead to blood clots and other potentially deadly complications. 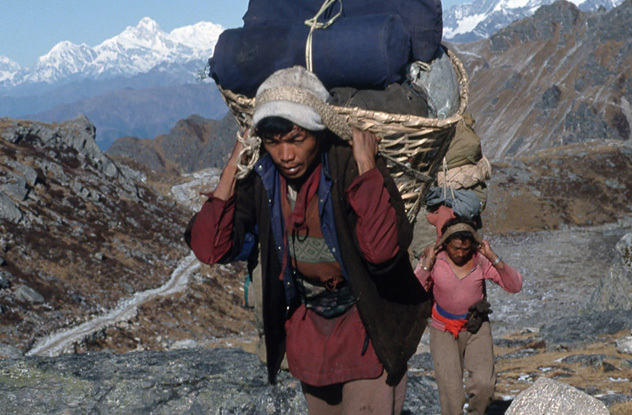 Similarly, Sherpas have better blood flow in their brains and are overall less susceptible to altitude sickness. Even when living at lower altitudes, Tibetans still maintain these traits, and researchers have found that many of these adaptations aren’t simply phenotypic variances (i.e., would reverse at low altitudes) but are genetic adaptations. One particular genetic change occurred in a stretch of DNA known as EPAS1, which codes for a regulatory protein. This protein detects oxygen and controls production of red blood cells and explains why Tibetans don’t overproduce red blood cells when deprived of oxygen, like ordinary people. The Han Chinese, the lowland relatives of the Tibetans, do not share these genetic characteristics. The two groups split from each other about 3,000 years ago, which means these adaptations occurred in only about 100 generations—a relatively short time in terms of evolution. In case we needed another reason to avoid cannibalism, eating our own kind is not a particularly healthy choice. The Fore people of Papua New Guinea showed us as much in the mid–20th century when their tribe suffered through an epidemic of Kuru—a degenerative and fatal brain disease spread by eating other humans. Kuru is a prion disease related to Creutzfeldt-Jakob Disease (CJD) in humans and bovine spongiform encephalopathy (mad cow disease). Like all prion diseases, kuru decimates the brain, filling it with sponge-like holes. The infected suffers through a decline in memory and intellect, personality changes, and seizures. Sometimes, people can live with a prion disease for years, but in the case of kuru, the afflicted usually die within a year of showing symptoms. It’s important to note that, although very rare, a person can inherit a prion disease. However, the illness is most commonly spread by eating an infected person or animal. Initially, anthropologists and medical doctors didn’t know why kuru was spreading across the Fore tribe. Finally, in the late 1950s, it was discovered that the infection was being transmitted at mortuary feasts, where tribe members would consume their deceased relatives out of respect. Mostly women and young children participated in the cannibalistic ritual. Consequently, they were the ones predominantly affected. Before the funerary practice was banned, some Fore villages had virtually no young women remaining. But not all who were exposed to kuru died from it. Survivors had a novel variation in a gene called G127V that made them immune to the brain disease. Now, the gene is widespread among the Fore and surrounding people, which is surprising because kuru only popped up in the area around 1900. This incident is one of the strongest and most recent examples of natural selection in humans. Although we’re often told that type O blood is a universal blood type that anyone can receive, that’s not the case. In fact, the whole system is a bit more complicated than many of us realize. While most of us are aware of the eight basic blood types (A, AB, B, and O—each of which can be positive or negative), there are currently 35 known blood group systems, with millions of variations in each system. 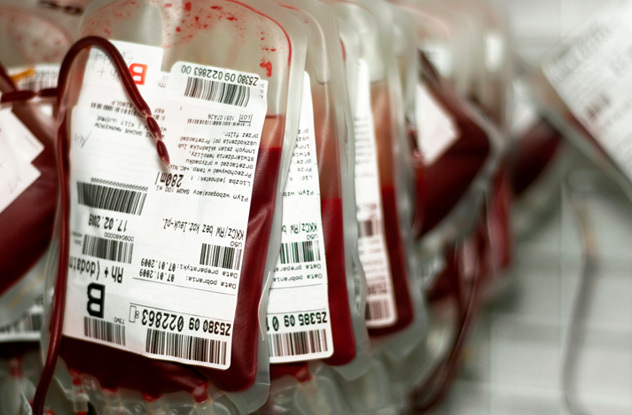 Blood that doesn’t fall into the ABO system is considered rare, and those who have such blood may find it challenging to locate a compatible donor when in need of a transfusion. Still, there’s rare blood, and then there’s really rare blood. Presently, the most unusual kind of blood is known as “Rh-null.” As its name suggests, it doesn’t contain any antigens in the Rh system. It’s not that uncommon for a person to lack some Rh antigens. For instance, people who don’t have the Rh D antigen have “negative” blood (e.g. A-, B-, or O-). Still, it’s extremely extraordinary for someone to not have a single Rh antigen. It’s so extraordinary, in fact, that researchers have only come across 40 or so individuals on the planet who have Rh-null blood. What makes this blood even more interesting is that it totally beats O blood in terms of being a universal donor, since even O-negative blood isn’t always compatible with other types of rare negative blood. Rh-null, however, works with nearly any type of blood. This is because, when receiving a transfusion, our bodies will likely reject any blood that contains antigens we don’t possess. And since Rh-null blood has zero Rh, A, or B antigens, it can be given to practically everyone. Unfortunately, there are only about nine donors of this blood in the world, so it’s only used in extreme situations. Because of its limited supply and enormous value as a potential lifesaver, some doctors have referred to Rh-null as “golden” blood. In some cases, they’ve even tracked down anonymous donors (a big no-no) to request a sample. Those who have the Rh-null type undoubtedly have a bittersweet existence. They know that their blood is literally a lifesaver for others with rare blood, yet if they themselves need blood, their options are limited to the donations of only nine people. Most animals’ eyes are designed for seeing things underwater or in air—not both. The human eye, of course, is adept at seeing things in air. When we try to open our eyes underwater, things look blurry. This is because the water has a similar density to the fluids in our eyes, which limits the amount of refracted light that can pass into the eye. Low refraction equals fuzzy vision. That knowledge makes it all the more surprising that a group of people, known as the Moken, have the ability to see clearly underwater, even at depths up to 22 meters (75 ft). The Moken spend eight months of the year on boats or stilt houses. They only return to land to get essential items, which they acquire by bartering foods or shells collected from the ocean. 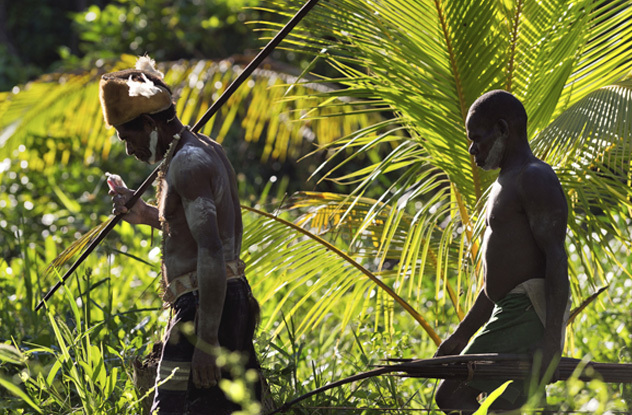 They gather resources from the sea using traditional methods, which means no modern fishing poles, masks, or diving gear. Children are responsible for collecting food, such as clams or sea cucumbers, from the sea floor. Through this repetitive and consistent task, their eyes are now capable of changing shape when underwater to increase light refraction. Thus, they can easily distinguish between edible clams and ordinary rocks even when many meters below water. 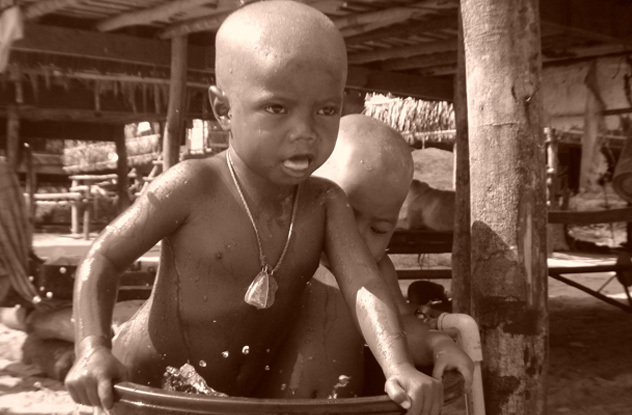 When tested, the Moken children had underwater vision twice as sharp as European children. However, it seems that this is an adaptation that we might all possess if our environment demanded it, since researchers have trained European children to perform underwater tasks as successfully as the Moken. Getting old comes with a host of physical problems. A common such issue is osteoporosis, a loss of bone mass and density. This leads to inevitable bone fractures, broken hips, and hunched spines—not a pleasant fate for anyone. Still, it’s not all bad news, as a group of people have a unique gene that may hold the secret to curing osteoporosis. The gene is found in the Afrikaner population (South Africans with Dutch origins), and it causes people to gain bone mass throughout their lives instead of losing it. More specifically, it’s a mutation in the SOST gene, which controls a protein (sclerostin) that regulates bone growth. If an Afrikaner inherits two copies of the mutated gene, they develop the disorder sclerosteosis, which leads to severe bone overgrowth, gigantism, facial distortion, deafness, and early death. Obviously, that disorder is far worse than osteoporosis. However, if they only inherit one copy of the gene, they don’t get sclerosteosis and simply have especially dense bones throughout their lives. 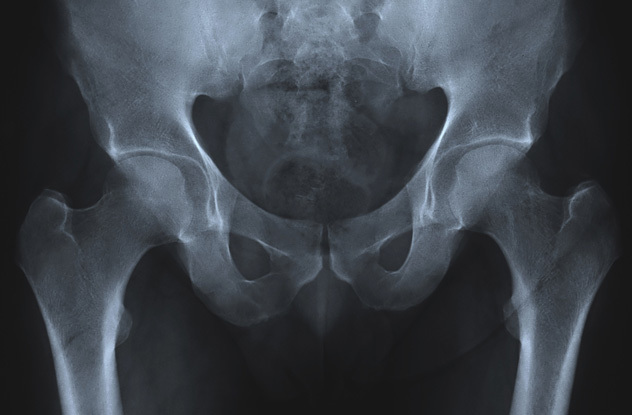 Although heterozygous carriers of the gene are currently the only ones enjoying the benefits, researchers are studying the DNA of Afrikaners with hopes of finding ways to reverse osteoporosis and other skeletal disorders in the general population. Based on what they’ve learned so far, they’ve already started clinical studies on a sclerostin inhibitor that’s capable of stimulating bone formation. If it ever seems like some people have more hours in their day than you do, it turns out they just might—at least more awake hours. That’s because there are unusual individuals who can operate on six or fewer hours of shut-eye a night. And they aren’t simply getting by—they thrive on this limited amount of sleep, while many of the rest of us are still dragging ourselves out of bed after snoozing for eight solid hours. These people aren’t necessarily tougher than the rest of us, and they haven’t trained their bodies to function on less sleep. Instead, they have a rare genetic mutation of the gene DEC2, which causes them to physiologically need less sleep than the average person. If normal sleepers were to stick to six or fewer hours of slumber, they’d start experiencing negative impacts almost immediately. Chronic sleep deprivation can even lead to health problems, including serious ones like high blood pressure and heart disease. Those with the DEC2 mutation don’t have any of the problems associated with sleep deprivation, despite the limited time their heads are on the pillow. While it might seem odd that a single gene could change what we believe is a basic human need, those studying the DEC2 mutation believe it’s helping people to sleep more efficiently with more intense REM states. Apparently, when we have better sleep, we need less of it. 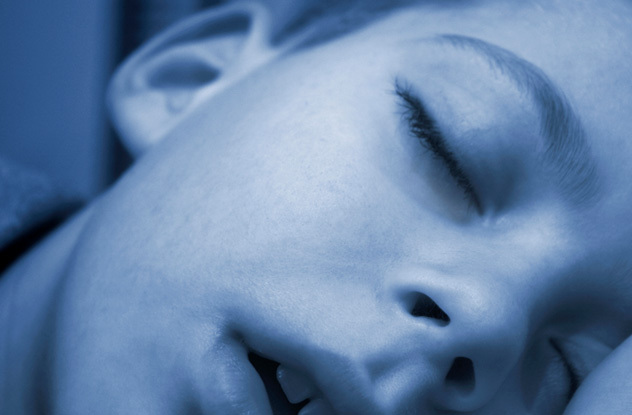 This genetic anomaly is exceedingly rare and is only found in less than 1 percent of self-proclaimed short-sleepers. So, chances are, even if you think you have it, you probably don’t.